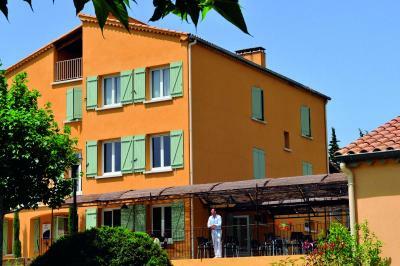 Le Domaine du Grand Luberon features a garden, terrace, a shared lounge and bar in Céreste. A hot tub and a bicycle rental service are available for guests. The property has sauna and free WiFi. At the resort, the rooms are equipped with a balcony. The rooms come with a private bathroom with a shower. All guest rooms have a desk. 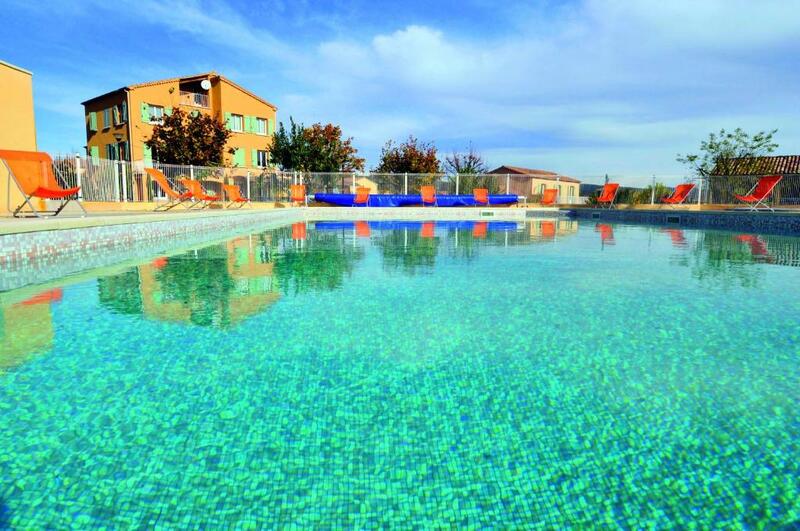 Le Domaine du Grand Luberon has an outdoor pool. You can play ping pong at this 3-star resort, and the area is popular for cycling. Apt is 12 miles from the accommodation, while Gordes is 25 miles away. 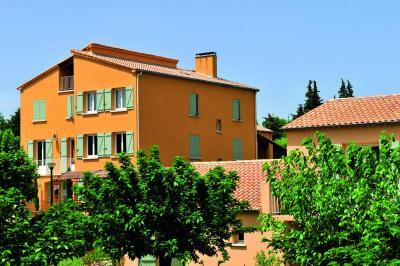 The nearest airport is Caumont Airport, 40 miles from the property. When would you like to stay at Le Domaine du Grand Luberon? House Rules Le Domaine du Grand Luberon takes special requests – add in the next step! 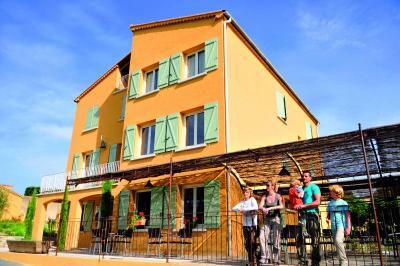 Le Domaine du Grand Luberon accepts these cards and reserves the right to temporarily hold an amount prior to arrival. - Monday to Sunday: 08:00 to 14:00 and 17:00 to 20:00. If you plan to arrive after 20:00, please contact the property during reception hours to obtain the access codes. Please note that beds are made upon arrival and bed and bath linen are provided. The end-of-stay cleaning fee is included in the price. Please note that no additional cleaning services are available. 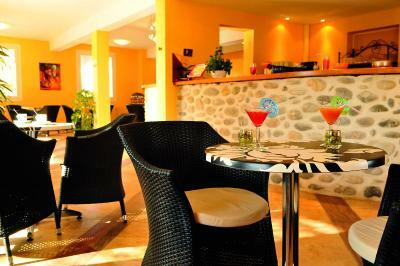 In order for the property to prepare for your stay, please specify the age of the guests at the time of booking. You can use the Special Requests box when booking. Please note that for stays of 1 to 3 nights the full board package on the first day begins at 17:00 with dinner on the first day and finishes on the last day with lunch at 14:00. Please note that for stays of 4 nights and more the full board package on the first day begins at 17:00 with diner and finishes on the last day with breakfast at 10:00. Please note that full-board rates are available for babies aged 0 to 1, staying in a baby cot. For more information, please contact the property directly. We need at least 5 reviews before we can calculate a review score. If you book and review your stay, you can help Le Domaine du Grand Luberon meet this goal.